OUJO is available to hire for all manner of functions: from balls, drinks parties, and other formal functions, to sit-down concerts. 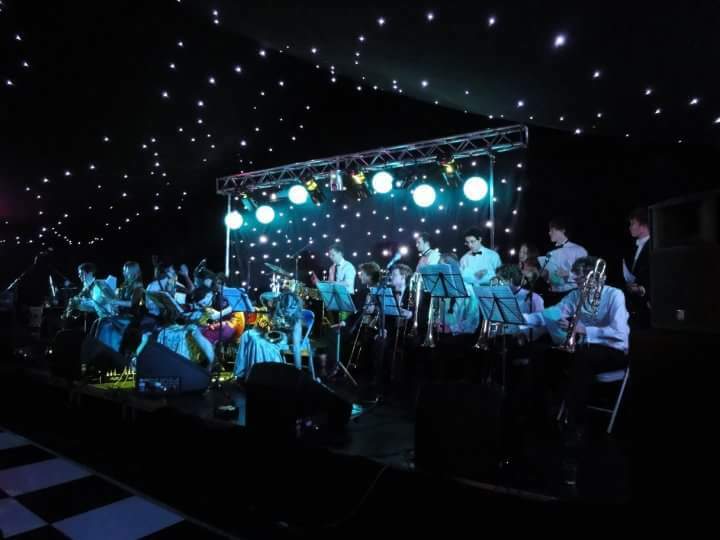 We pride ourselves on our hassle-free approach to live music, and like to work closely with event organisers to adapt ourselves to specific needs. If you’re interested in hiring OUJO, please contact samuel.padfield@st-annes.ox.ac.uk. OUJO’s performance skilfully combined their flair for electrifying big band classics and introspective, meditative jazz. This felt like a very special performance for the band given the prestige of the surroundings and the importance of the material, and the audience certainly got to share in that excitement. Few other ensembles would have managed such a charismatic, technically impressive performance, and we can’t wait to see where they’ll go next. OUJO showed a dynamic big band flair… a high quality jazz orchestra with a number of talented musicians and a rich, full sound. Absoutely incredible… would definitely recommend. OUJO play with a youthful enthusiasm at a standard far exceeding their tender years. It was a pleasure to perform with them. While many big bands produce a mass of indeterminate horns drowning everything in their wake, OUJO are crisp, precise and brilliantly clear, trading off virtuoso solos and dense group harmonies with effortless ease.